Record iPhone/iPad Display on a Computer without having to Jailbreak. With the advancements in iPhones in recent times, there has been one thing missing – a reliable iPhone screen recorder. However, we now have this available thanks to AceThinker. With iPhone Screen Recorder, users can connect, mirror and record their screen using a computer. Previously, mobile devices would have to go through a ‘jailbreak’ process but it is no longer necessary. For a long time, Apple has clamped down on apps like these appearing in the App store so this is a fantastic alternative. When set up, users can record their iPhone or iPad regardless of whether it is for gaming or anything else. The screen will be recorded and can be seen in real-time on the computer with games, images, songs, video chats, and more all providing solid options. Due to its efficient performance and easy-to-use interface, this program has become extremely popular all around the world. One of the main benefits of choosing this program over the many others is that it is convenient; not only does it not require jailbreak, it also doesn’t need any additional purchases in terms of cords or apps. When coupled with AirPlay, you can set this program up in just a matter of seconds and everything is easy to see on your computer. With just one click to start and stop recording, there isn’t even a need to stay near to the computer as it connects wirelessly. When finished, the video can be published to various different formats to use on a number of different editing tools. Of course, the video quality is HD as AceThinker has spent over five years developing this fantastic tool. Recover Lost or Deleted Data from iPhone and iOS Devices. Accidentally deleting something or an iOS upgrade result in losing data? 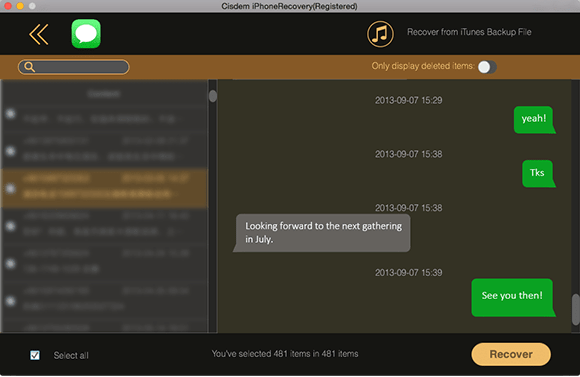 Cisdem iPhoneRecovery is the best iPhone data recovery software for Mac to recover iPhone data lost due to iOS 9.3/9/8.4 update, jailbreak, factory reset and other reasons. Download it now and your deleted contacts, messages, photos, videos, notes, etc. will be recovered within the next five minutes. No matter if you have a backup file or not. √ Recover lost iPhone data without backup. √ Extract the iTunes backup to selectively retrieve lost data. √ Recover lost iPhone data after accidental deletion/virus attack/restoring to factory settings. √ Recover lost iPhone/iPad/iPod touch data after iOS upgrade/jailbreak. √ Recover video, photos, messages, contacts, call history, voice memos, calendar, reminders, safari bookmarks, notes. √ Preview the detailed content of lost iPhone data. √ Selectively recover the files you want by selecting them out in the preview window. √ Export a list of found files in HTML, Excel, Word, Numbers, and Pages for checking or printing as evidence. √ List recoverable data in well-organized categories to ensure you find and preview them easily. √ Fully-compatible with iPhone 7, iPhone 6 Plus, iPhone SE, iPad Air, iPad mini, iPod Touch, etc. Stellar SpeedUp Mac is the software of choice for giving your Mac rocket speed by removing all duplicate files, system junk, binary, language files and uninstalling applications. Here are some salient features of this software. LIFETIME LICENSE validity. Stellar Speedup Mac automatically detects the boot volume and recommends for scan. The software scans all the Log files, System Junk, Trash & Leftovers, Manages Extensions, Cache files, universal binaries, language files, large files, and duplicate files, which make the Mac slow and unresponsive. The tool then lists them all in the software interface, which you can remove with a single click of the button. Software robustly scans for all duplicate files lying on the Mac hard drive. It finds & removes duplicate files from iWork, iTunes, iPhoto, iMovies and Aperture. 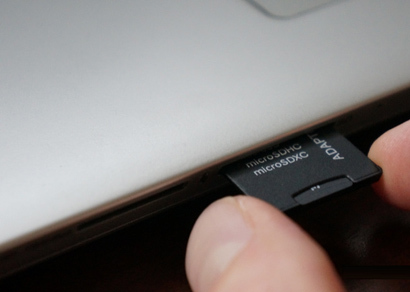 You can recover plenty of disk space by eliminating these duplicate files from Mac OS X. You can go for a custom scan where you can clean up the volumes other than the Boot volume of your Mac. The software intelligently lists all the secondary volumes in your Mac and runs the modules to remove the Universal Binaries, Language Files, Large files, and Duplicate files from them. Uninstall any unwanted Application, Widget (System as well as User installed) or Plug-in from your Mac by simple ‘Dragging and Drop’ to the Application Uninstaller Area. You can enable the 'Automatic uninstaller' option to uninstall an application, when dragged into the Trash. The 'Applications' option lists all the applications installed inside the Application folder of the system, so that you can easily choose among them to uninstall the unwanted ones. Similarly, the 'Widgets' and 'Plugins' options helps in listing all the Widgets and Plug-ins installed in the Mac system, from which you can select the unwanted ones to uninstall. Preview all Image, Audio or even Video files, and any other data then and there before removing them from the system. You can select the file and click 'Quick Look' button on the tool bar to get a quick preview of the file, which will avoid removing a needed file. Scheduler preferences can be defined to perform various clean up my Mac tasks at a desired Time and Date. Tasks will be automatically executed at the specified time, when the software runs. The scheduler can also be helpful in launching and updating Speed Up Mac. The Filter Settings option facilitates to set filters, so that you can search the exact categories of file types. With this feature, you can include or exclude any particular category of file types by setting filters. Preferences can be set to automatically remove all unwanted junk files from the device, each time the removable device gets connected to the Mac system. The software cleans the 'Thumbs.db ' file and various junk folders, such as 'DS_Store', 'Spotlight-V100', and 'RECYCLED'. It recover data from nearly all cards: Compact Flash, Memory Stick Duo, Memory Stick Pro, Memory Stick Pro Duo, SD Card, mini-SD, micro-SD, Multimedia Card MMC, Smart Media, xD Picture Card, USB drive, flash drive that made by different manufacturers: SanDisk, Kingston, KingMax, Sony, Lexar, PNY, PQI, Toshiba, Panasonic, FujiFilm, Samsung, Canon, Qmemory, Transcend, Apacer, PRETEC, HITACHI, Olympus, SimpleTech, Viking, OCZ Flash Media, ATP, Delkin Devices, A-Data. MacOS 10.12 (Sierra), Mac OS X 10.11 (El Capitan), 10.10 (Yosemite), 10.9 (Mavericks), 10.8 (Mountain Lion), 10.7 (Lion), 10.6 (Snow Leopard). Easily convert DRM-encrypted M4P songs, Apple Music to MP3, AAC, M4A, FLAC, M4R flawlessly with original quality kept. Trusted by more than 40 million people! M4P to MP3 Converter for Mac is specially designed for iTunes users to unlock DRM protected iTunes music and converts Apple Music and audiobooks to plain MP3 so you can play them on on any devices without restrictions.. Extract audio from iTunes videos files on Mac and save them in MP3. Fast converting speed – convert audio files at up to 16x speed on Mac. Set your favorite photo as the profile image of your playlist. "Excellent app for converting Apple music. The best one I've found in terms of ease of use / features. I've been using M4P Converter for Mac for a month already and I'm very happy with it. :)"
Photo Size Optimizer for Mac, a powerful photo re-sizer and optimizer for Mac OS X, will optimize all your photos by 80% ~ 20% comparing to their originals while keeping their original resolution, quality and png, jpg, gif formats. With Photo Size Optimizer for Mac, you can save huge space and share full-resolution photos with your friends much faster. - One-click photo size optimization on Mac OS X. - Easy management: When a folder dragged into the application, Photo Size Optimizer for Mac will work on it immediately. - Photo sharing becomes more easier. Mac OS X 10.6 +, iMac, Macbook Mini, Macbook air, Mountain lion, Macbook Pro, Yosemite, mavericks, EI Capitan, macOS Sierra. Get them all for only $30! Easy to use Mac reminder app. Takes up a tiny space on your screen but has numerous options for ToDos including flashing icon on dock, flashing tab red, alert and sound. Hides just off-screen as soon as any other app opens, but un-hides when mouse moves over tab. KitchenTimer – Your Kitchen Pal! Need a break? Of course you do. Set a timer so you don't forget. Have an important phone call coming up? Set KitchenTimer to remind you. Time to pick up the kids at school? Set a reminder. For every release TopXNotes has been unmatched in comparison with Apple Notes. Here are 7 reasons why TopXNotes still beats Apple Notes as an organizing tool. Organize your notes using powerful TopXNotes features, including our NoteOrganizer, Groups and Categories features. Then use the NoteOrganizer indexing features to quickly find your way around. Identify every note with a category that you create by selecting a name, color and icon. Apple Notes has no such invormation organizing system. View one, two, or as many notes as you like with TopXNotes unique MultiView system. Apple Notes has no multiple note display and editing system. has no text tools that slide into place when and where needed. 5. QuickNotes menu-Instant access from the desktop! QuickNotes is an "always on top" window with a menu containing your "Top 10 Notes" always available for rapid easy access. Apple Notes has no facility for quick note access. organized. Apple Notes does not. Tropical Software is your choice for Mac productivity apps! Tropical Software, Inc. was founded by James Lee in 2004. In 2005 we introduced our flagship product, TopXNotes, a powerful personal note organizer that emphasizes our dedication to providing easy to learn and use Mac productivity tools. In 2006 we were the first to add the ability to export notes to iPod. TopXNotes went on to become one of the most popular note products for Mac (by download count) and our presentations to Mac User Groups across America have been very popular. In 2010 we had a major user interface update to TopXNotes and added TopXNotes touch for Apple touch devices and NoteSync to sync between Mac and devices. In 2011 TopXNotes, 2Remember and Kitchen Timer for Mac all were released into the Apple Mac App store. We hope you will enjoy them. USB over Network for Mac lets your computer work with remote USB devices over Internet/LAN/WAN as if those devices were connected directly to this computer. You can share a USB device with remote computers no matter how far they are and let people all over the world use them easily. Rediscover the magic of stunning analog film effects and film grain. In order to achieve the magic of analog film, iFotosoft FilmSim provides gorgeous film presets and camera profiles to produce stunning results. Just import photos to apply legendary analog film rendering for Kodak, Fuji and Ilford camera profiles. It always provides some unique styles to your photos with the advanced calibration technology. iFotosoft FilmSim is a film pack with four analog film profile solutions with dozens of revolutionary camera profiles. The different contrast, saturation and special of analog film color mode bring out numerous of stunning photos effects. You can also choose between Black & White, Ferric Sulfate, Gold, Selenium and Sepia. It is not only an excellent color-rendering program, but also reproduce the authenticity and natural look of film with analog film grain. The effects are able to custom grain, dust and scratches that enhance the feeling of the traditional photograph. The film pack works with JPEG, TIFF and most of the RAW formats. And the super easy to use interface just make sure you can design stunning photos with analog film as your imagination. Just share photos with analog film effects to Facebook and other social media within one click. Syncing output with AirDrop and Photos to other devices directly from the program. And sending photos to friends via Email is also supported. · Advanced calibration technology with legendary analog film effects. · Analog film color rendering for Kodak, Fuji and Ilford film camera profiles with desired results. · The different contrast, saturation and special of analog film color mode bring out numerous of stunning photos effects. · Custom grain, dust and scratches that enhance the feeling of the traditional photograph. · The program works with JPEG, TIFF and most of the RAW formats. · Super easy to use interface just make sure you can design stunning photos with analog film as your imagination. · Share photos with analog film effects to Facebook and other social media within one click. · Sync output with AirDrop and Photos to other devices directly from the program. · Send photos to friends via Email within the program. Stellar Phoenix Mac Data Recovery is a professional software that offers a wide variety of helpful features to let you pull your data back from the inaccessible volume. Mac data recovery software is backed by competent algorithms that can successfully attain restoration of permanently deleted data. On a Mac, deleted data is stored within the ‘Trash’ until it is permanently purged from the system. Can’t spot existing volumes on your Mac? Use Stellar Phoenix Mac Data Recovery to restore them in no time. This powerful application helps locate and rebuild corrupted / damaged / deleted volumes on any HFS, HFS+, FAT, NTFS, or ExFAT formatted drive. 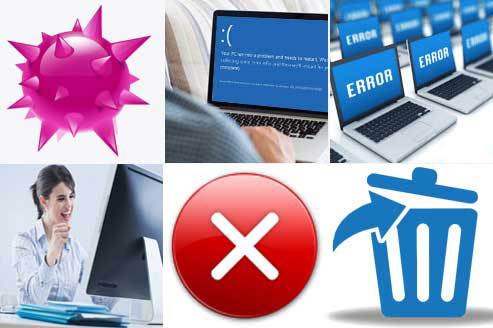 Threats and disasters like drive formatting, accidental deletion, virus / malware attack, etc. constantly pose a danger to your precious data. Mac data recovery was never so versatile! Stellar Phoenix Mac Data Recovery software works transparently to the underlying hard drive structure and makes it possible to reclaim lost data from any HFS, HFS+, NTFS, FAT or EXFAT formatted hard disk drive. If your Mac’s volumes have been severely damaged or corrupted, or you’ve not obtained satisfactory results through Data Recovery and Deleted Recovery options, you can choose to initiate RAW Recovery. If you have a password protected hard drive that has been damaged / corrupted / file deleted, don’t think you’ve lost the data on it forever. Recovering data from encrypted hard disks is super easy for this brilliant application.